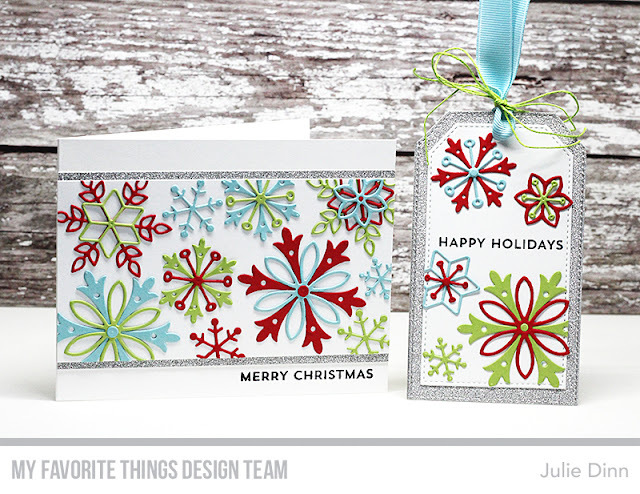 The gorgeous new Snowflake Splendor card kit is available now! Be sure to get one HERE. 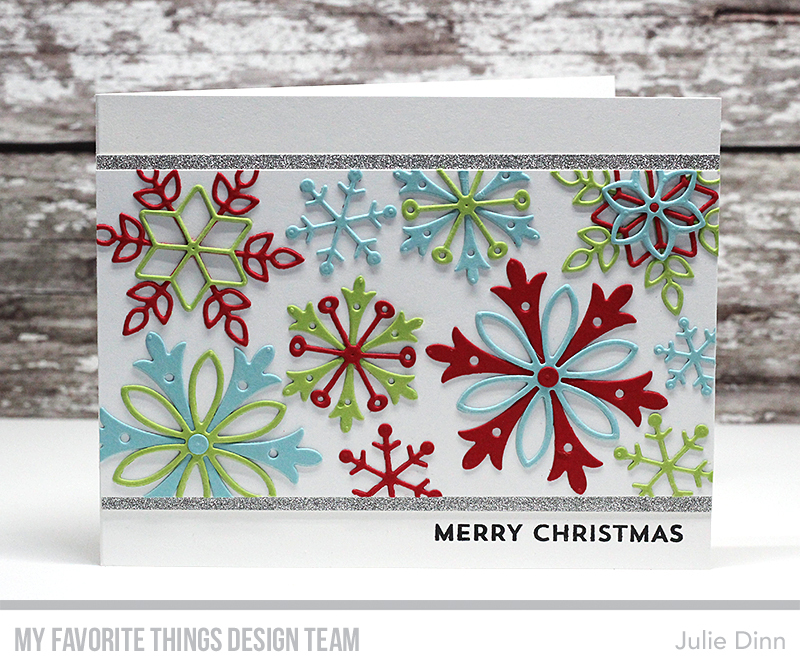 I have another card and tag duo to share with you today. For this set, I went with one of my favourite colour combinations for Christmas, Summer Splash, Sour Apple, and Red Hot. I added a hint of sparkle to the cards with the Silver Sparkle card stock. The sentiments on the tag and card are from the Snow Globe Sentiments stamp set. What a fun holiday color combination. Love the matching card and tag. Really pretty! Love all the different styles of snowflakes! Love this color combo! Beautiful, thanks for sharing. Love your colorful snowflakes die-cut from colored cardstock! Nice to see snowflakes with some color! Fun color combination. I especially love that tag. Such great ideas - can't wait to get this kit! I like all the pretty, unconventional colors you used for the snowflakes. Love your bright vibrant color combo! Pretty card!! Love the rainbow of colors you used on your card. Very refreshing. I love the design and color combination. Really pretty. Gorgeous! 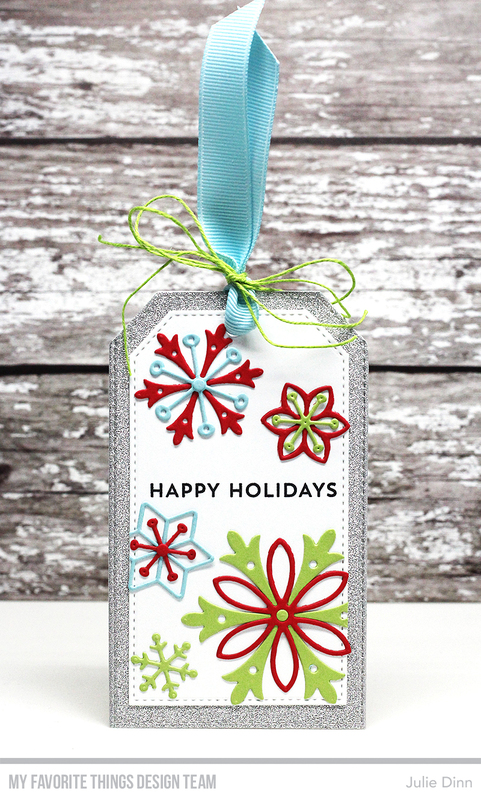 These colors are fabulous together and your card tag look amazing! Your card and tag are so beautiful! I love the bright colors you chose for them. I like your color selection of snowflakes. I think this project is my favorite from the entire release. I really love the color combo and clean lines. Beautiful! I lover the color combinations of the snowflakes. These are so fun projects! I love the color scheme! Thanks for showcasing this fabulous card kit, wonderful work! Wow! Absolutely love the colors you chose! Holy cow, I love this color scheme!! Beautiful card and tag. Love the bright snowflakes. I can see why that’s your favorite color combo, it looks fabulous with the snowflakes!! So glad I got the kit in time, might have to try this. Thank You!! Pretty card and tag! Love the colors! I can see why this is a favorite color combo for you because it's gorgeous. 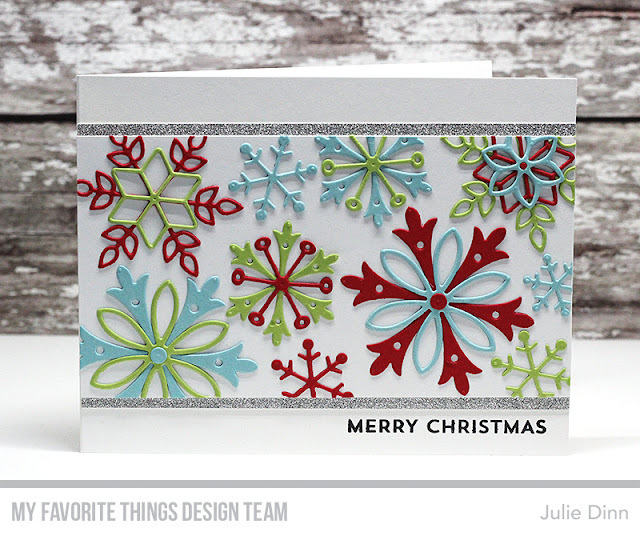 Love your card and coordinating tag, Julie! The colors are amazing! Great design! Absolutely one of my favorites! Love the bright and beautiful colors!! Your creations are perfect for Christmas ! Fabulous card & tag! Love the colors! I can't wait till my kit get here! gorgeous card and tag... love the color combo!! I LOVE those snowflakes!!! Such a pretty card and tag.